This album features classics from the musicals. Love Changes Everything (Aspects of Love), Loving you (Passion) and Anthem (Chess) are among those 18 tracks. JB.N review on "Past and Present "
Press Release for "Past and Present "
2009 is the year that marks Michael's silver jubilee on stage. 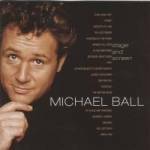 As he is still appearing in Hairspray he decided for a compilation album that features a rundown of 25 years of Michael Ball, including the highly anticipated "You can't stop the beat" from Hairspray. This alone should be worth the album price. PLEASE NOTE: This album features in Solo Albums and MB Compilations, as it contains new material as well as old favourites. 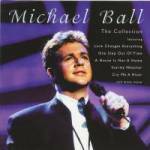 On this 2 CD set you will find a fine collection of love ballads. A selection of quiet songs for a cosy Sunday afternoon. 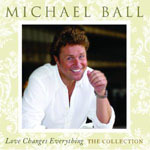 Best of recording that includes three newly recorded songs (What love is for, When you tell me that you love me, This is the moment) and previously unreleased track "Why haven't I heard from you"
There’s no bigger star of musical theatre than the multi-talented Michael Ball – a sensation in ‘Les Miserables’, ‘Phantom of the Opera’ and most recently in ‘The Woman in White’. 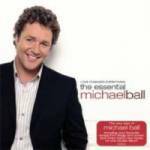 Enjoy the pick of recordings from his fantastic 15-year career, from biggest chart hits to memories of his greatest stage roles and unbeatable renditions of top show songs and contemporary ballads. Triple CD Set was exclusively produced for Tesco's. 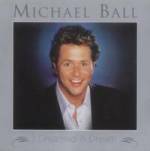 Be careful after buying, if some songs don't sound like it's Michael Ball, it could be Michael Crawford. The first batch was faulty and had some songs by the wrong singer. They should have been replaced in the meantime, but you'll never know. Just try to get it exchanged at your local store if this happens. This CD consists only of musical songs and is basically a mixture of "The Musicals" and "Centre Stage". The title says it all really. It mainly consists of songs from "The movies" and some from "The Musicals". This is basically a collection of songs from many of Michael's albums. Mainly emphasizing on Musical Theatre, but not only . Main problem though: You might be lucky to get the odd copy still at Marks and Spencers, but it's not listed on their website anymore, so basically hard to get your hands on! Love songs from all of his CDs are as the title says the issue on this CD! 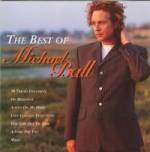 Another love-songs compilation album that features love songs from Michael's first four albums. One of the very early compilation CDs. Again a good mixture of songs fromt he first albums. Among songs from his first three albums you can also find songs that had not been published on other CDs!